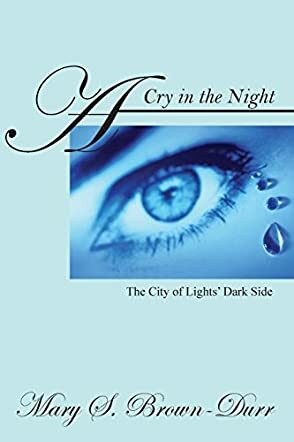 A Cry in the Night: The City of Lights' Dark Side by Mary S. Brown Durr is a murder story set in the Jim Crow era. It is based on the murder of a young civil rights participant. It is also the personal experience of a family during that time. The backdrop of the story is the life of Negros in Canton, Mississippi. The book, apart from being a murder story, focuses on the role of the civil rights movement, which deals with integration, boycott, and death. The book is a compelling read. The fact that it is the personal experience of a family and concerns the civil rights movement gives it a very human touch. The story is honest and the murder angle adds intrigue and suspense. The book also opens readers' eyes to life fifty years back. The book is also a reflection of the author's knowledge about civil rights and civil rights crusades, from academics to teaching. I liked the book because it is honest and stark. It makes the narration more effective. The very fact that it is a personal experience makes the reader feel the emotions more strongly. Although the book has a historical angle, the story is something that any reader can relate to because it could have happened in any place. The book is emotionally moving as it speaks about the sacrifices made by the activists during that time.